The situation in Syria continues to change at a rapid pace. A week ago, Lakhdar Brahimi, the United Nations envoy trying to negotiate a truce between warring factions in Syria, effectively threw in the towel. Brahimi apologized to the Syrian people for the talks’ failure to bring about peace. Since the talks failure, renewed fighting — including between rebel factions — has claimed hundreds more lives, and the opposition seems unable to mount a concerted, unified front against President Bashar al-Assad. The U.N. estimates that over 100,000 have died and millions displaced over the past three years of the Syrian conflict. The United Nations continues to work toward advancing humanitarian aid, but the struggle for control of the country continues with no end in sight. Syrian journalist Abdulrahman al-Masri has followed the conflict since its beginning. 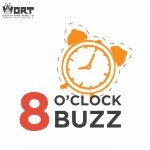 On February 24, he joined the Monday 8 O’Clock Buzz by phone from Amman, Jordan.